These units offer comfort and dependability for single, multi-family and light commercial applications. Painted louvered steel cabinet Easily accessible control box Condenser coils constructed with copper tubing and enhanced aluminum fins Grille/Motor mount for quiet fan operation Filter Drier shipped – not installed The reliable scroll compressor is the key to efficiency for this WeatherKing model. WeatherKing offers a full range of home heating and cooling solutions to meet the needs of nearly all residential applications. Variable speed blower motor technology provides ultimate humidity control, quieter sound levels, and year round energy savings. Install a WeatherKing furnace in your home today. It will give you comfort throughout the years. WeatherKing furnaces are efficient forced air systems. That save you money throughout the year. Whether it is for air conditioning or Heating. WeatherKing equipment are built tough and made to last. Install a WeatherKing furnace in your home today. The Price is Right Heating and Air Conditioning HVAC company will be that company at those that install for you. Call us today. When it comes to WeatherKing's furnace installation this manufacturer is way ahead of its time. They have designed systems so efficiently. They are very dependable and reliable equipment. WeatherKing furnaces are installed by a proper HVAC installer or technician when you work with us. Install a WeatherKing furnace because WeatherKing furnace has been around for years. It is a Dependable reliable forced air system built two last. All the parts are Universal. So that is very good for servicing when you need heat or Cooling. When you install a WeatherKing furnace. You are installing a forced air system Never Let You Down. You must get your furnace cleaned and checked every season. because that's always the smart and right thing to do. Install and WeatherKing furnace today. The Price is Right Heating and Cooling have been servicing and installing WeatherKing furnaces for decades. WeatherKing furnaces a very dependable furnaces. 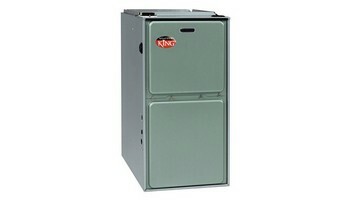 To install a WeatherKing 96% efficient furnace two stage system. You must understand that there is a lot that you need to know all about Heating. To install an HVAC high-efficiency systems. You need a company who's been doing this for the last 30 years. That knows how to service, repair, replace and to install. All major brand furnaces, air conditioners, humidifiers, water tanks, electronic air cleaners,and hydronic systems. The Price is Right Heating and Air Conditioning are here for you. If you have any questions. 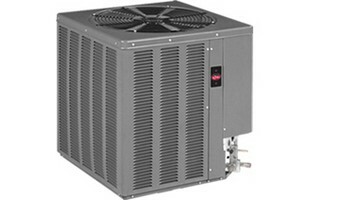 WeatherKing furnace installers are the same people who install the Rheem furnace. Very professional excellent on their calculations. Measurements clean and professional. Always right on the money. When it has to do with installing a new furnace. We've installed a lot of furnaces In Our Lifetime. WeatherKing furnace stand there ground. These systems are tough It takes a lot to break that system down.